An extensive look, complete with helpful diagrams, at how to architect an Angular application so that it can comfortably grow over time. A series of interactive exercises for learning Microsoft’s Reactive Extensions (Rx) Library by initially tackling plain JS functional concepts. This spawned a lot of discussion but is well worth reading if you’re looking for a job in this space. Future Proof Your Apps. 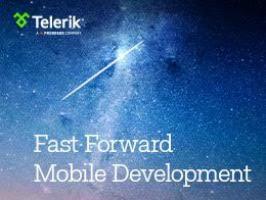 Telerik Platform 2.0 changes the game in mobile app development, enabling you to build beautiful apps with a rich user experience, fast and efficiently. Webinar Dec. 3, 2015 | 11 am ET. Save my seat. The official European Angular conference wrapped up a few weeks ago and here are a variety of insights and news from the event. Want to watch the actual talks? Enjoy these 41 videos. This tool produces visualizations of where all the code in your minified JS came from so you can either optimize or justify your file sizes. asm.js is now supported by default in Microsoft Edge and brings extra performance to WebViews in universal Windows applications too. Several prominent Angular folks look at where Angular is now and where it’s going. Master RESTful APIs, Advanced Promises, new concepts in ES6, TypeScript other important learnings for moving towards Angular 2.0. Attend remotely and take advantage of recorded sessions after course completion. A 24 minute live coding session. Great documentation and code samples here.